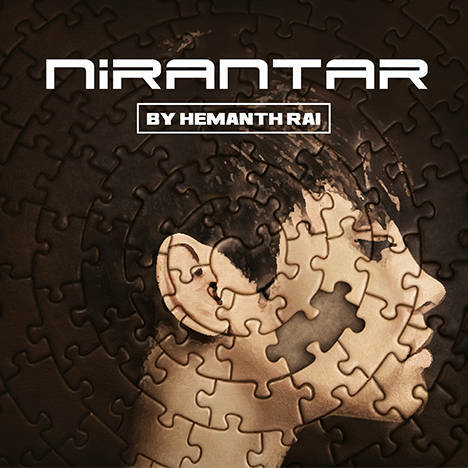 NIRANTAR | HEMANTH RAI | OK Listen! Nirantar (continuously) achieving dreams in life is a continuous process, not an accidental one.. success is not measured by what we have in our lives. Instead, it is a beautiful journey continuously moving forward with decipline, petiance, passion and without distractions. Album nirantar tells about the different experiences of life that all human beings have been through, it is mixed fellings of emotional, practical and philosophical perspective blended with experimental, ethnic and alternative rock. All songs are written, composed and vocal performed by Hemanth Rai except "Fir Fir" lyrics composed by Aita Singh Subba & Hemanth Rai. Music arrangement: Bipen Gurung & Hemanth Rai. Lead guitar: Bipen Gurung except in track Nirantar by Snku Lepcha. Bass: Anand Kharka & Bipal Bagdas. Drums: Divya Josh Barailey Except in track "Majhi" by Hemanth Raj Chettri. Vocal, Drums & Guitar recorded by Depandra Shamsher Dikshit at classic studio Darjeeling & at live & loud studio Tadong Gangtok.Mix & Master by Kiran Chettri, Ledger Line Studio, Kalimpong. Co-producer: Shri Bhola Prasad Sharma, Smt. Krishna Kumari Rai & Shri. Binod Rai. Special thanks to Bhusan Alley, Bikash Chettri Ramesh Gurung, Yogesh Rai, Passang Bhutia & entire team of Nirantar. Singer, Composer, Writer, Music Arranger & Guitarist.